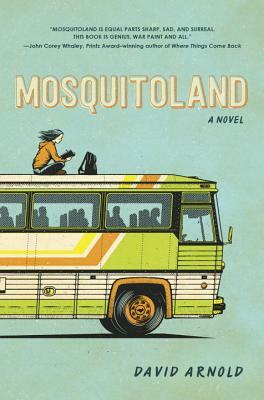 On a basic level, Mosquitoland is about a teenager running away from her father and step-mom in Mississippi and toward her sick mother in Ohio. Along the way she writes letters to the mysterious Isabel and meets some strangely interesting new friends. But that's just the basics, this book has so much more to offer, mostly in the form of Mim the runaway. Mim has such a complex and developing character with such a perverse world view that it's easy to forget this is a road trip book.